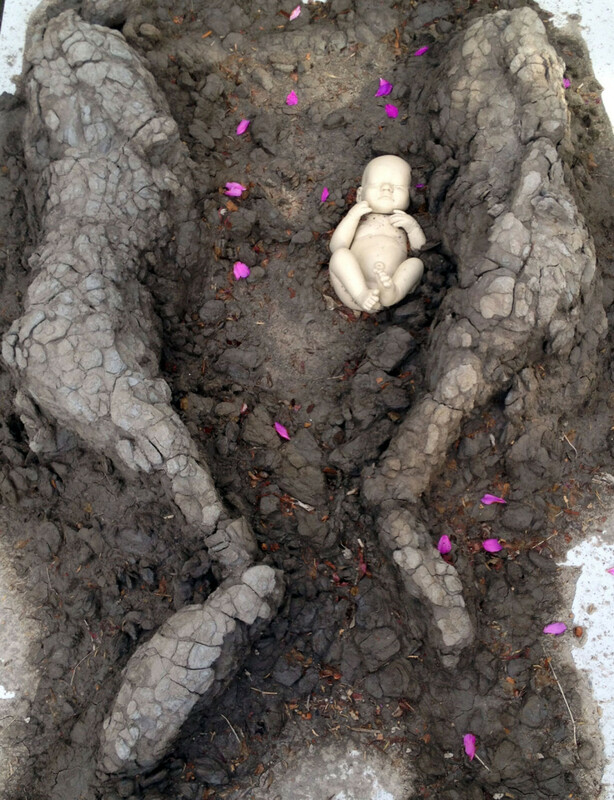 Between birth and death there is the complex life we live. 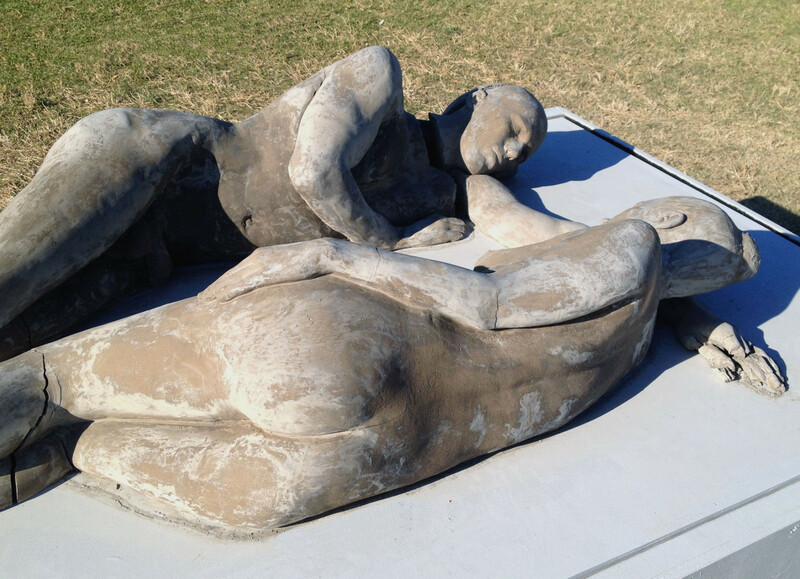 Being aware of our mortality we seek connections and form relationships. 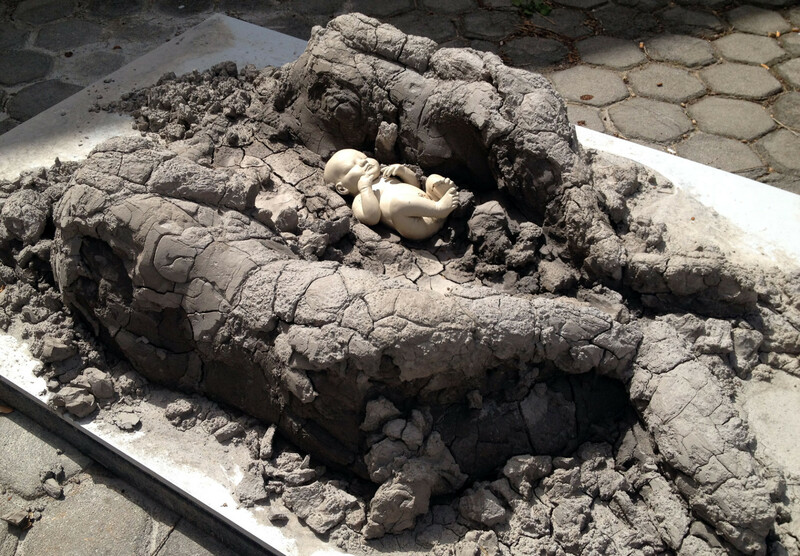 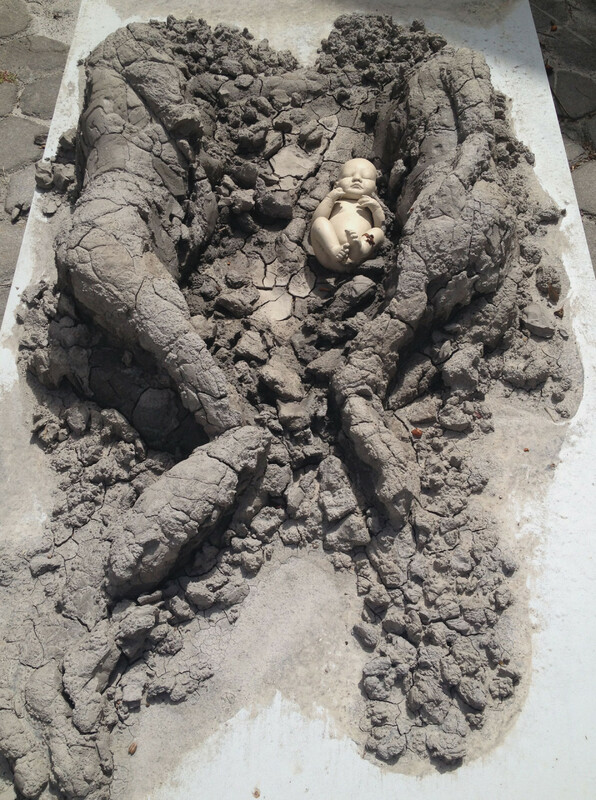 In (de)composition: family as the male and female figures melt into each other and the infant remains as a remnant of their relationship, they create a sense of intimacy that is all the more heightened within the context of death. 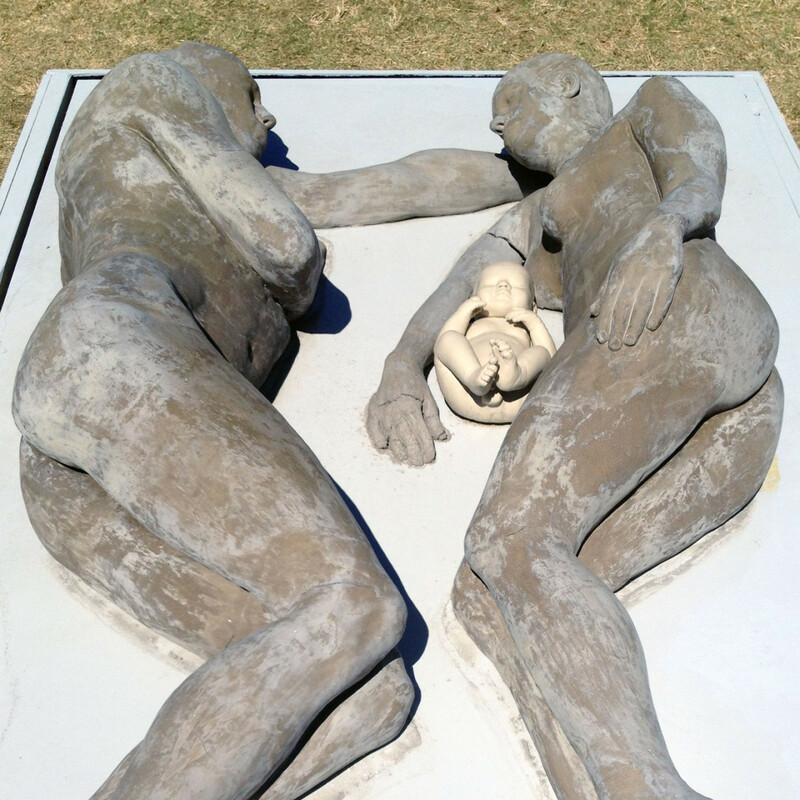 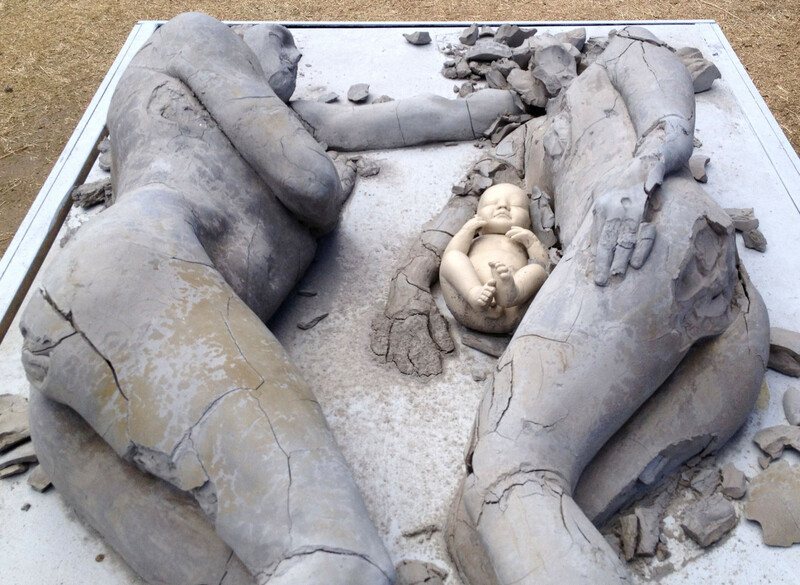 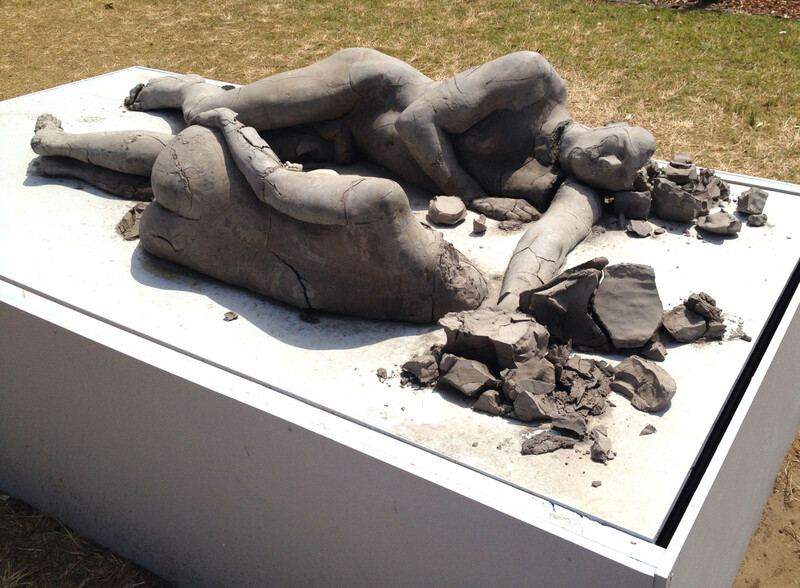 Using an unfired life-size ceramic cast of a couple, (de)composition: family portrays a visual representation of the gradual breakdown of their human form. 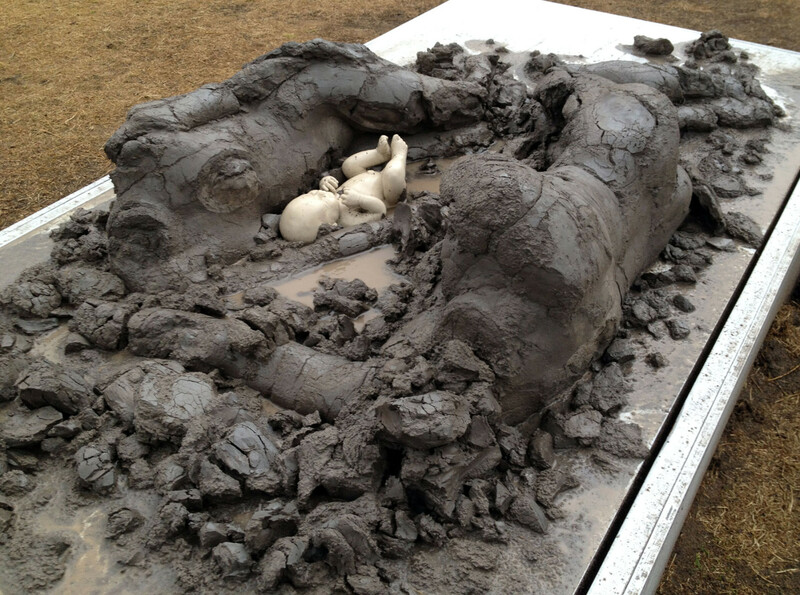 This time-based, kinetic sculpture creates an opportunity where one can come back at different stages of the exhibition to see the transformation of the piece. 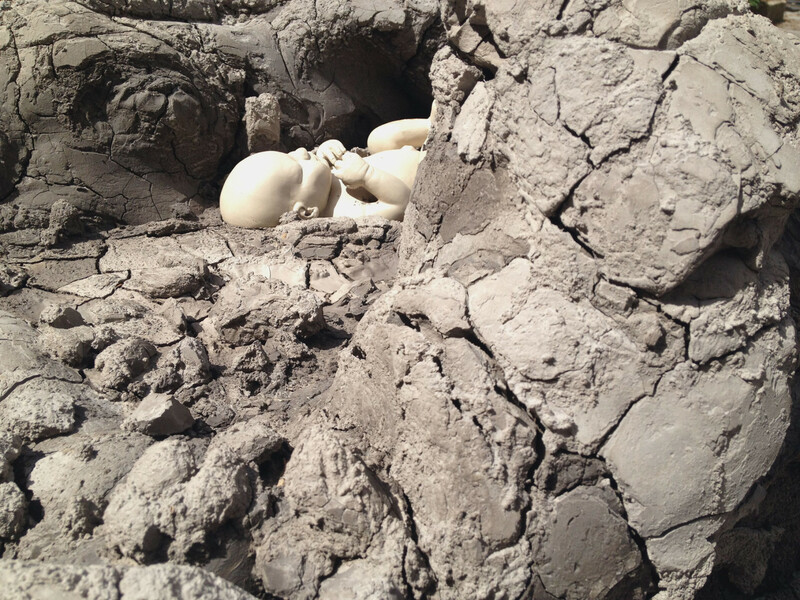 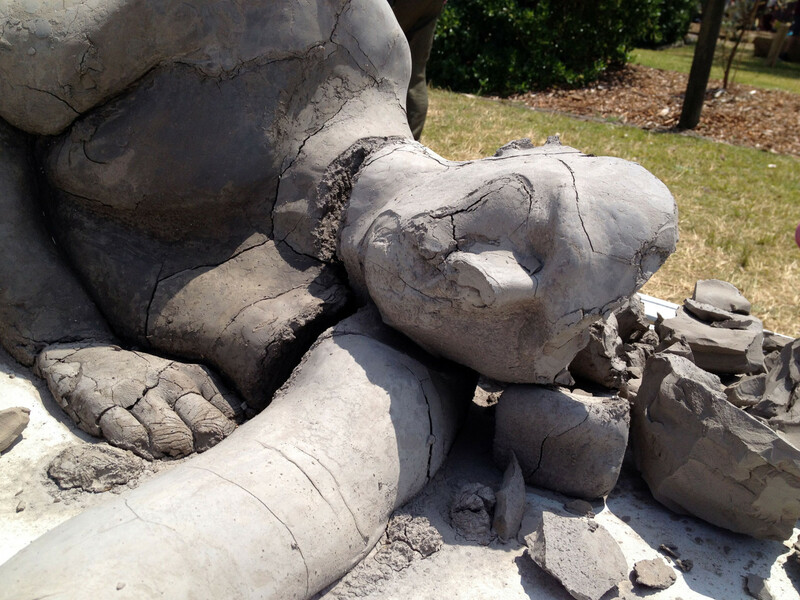 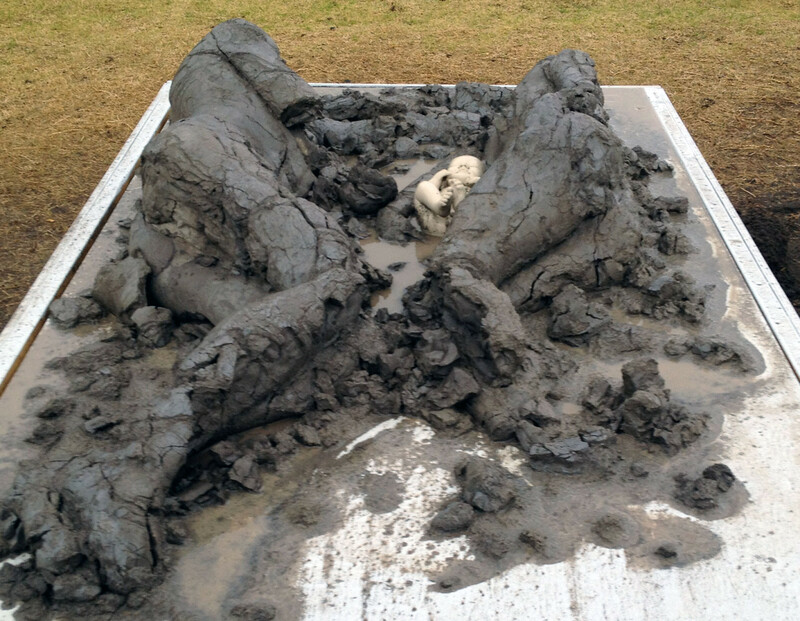 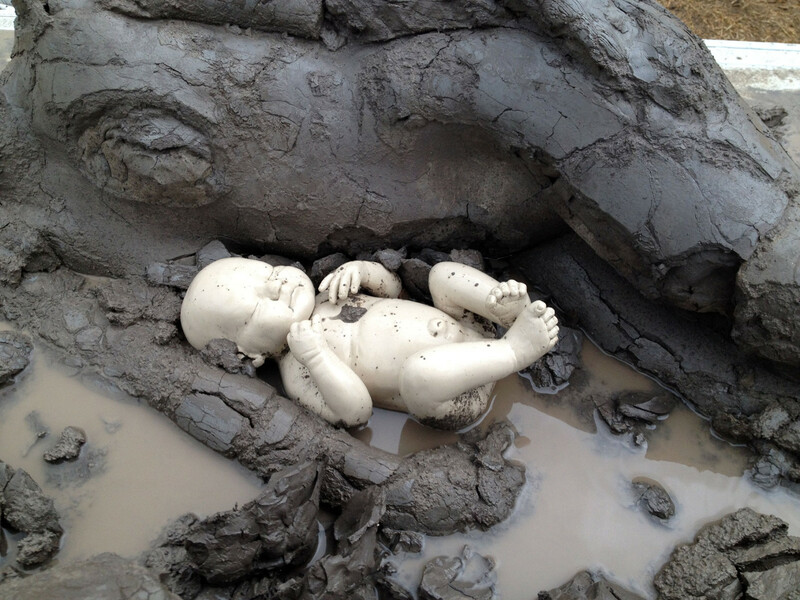 As the exhibition continues, the adult clay figures will be exposed to the elements so water will continually be introduced (through rain) which will then dry out. 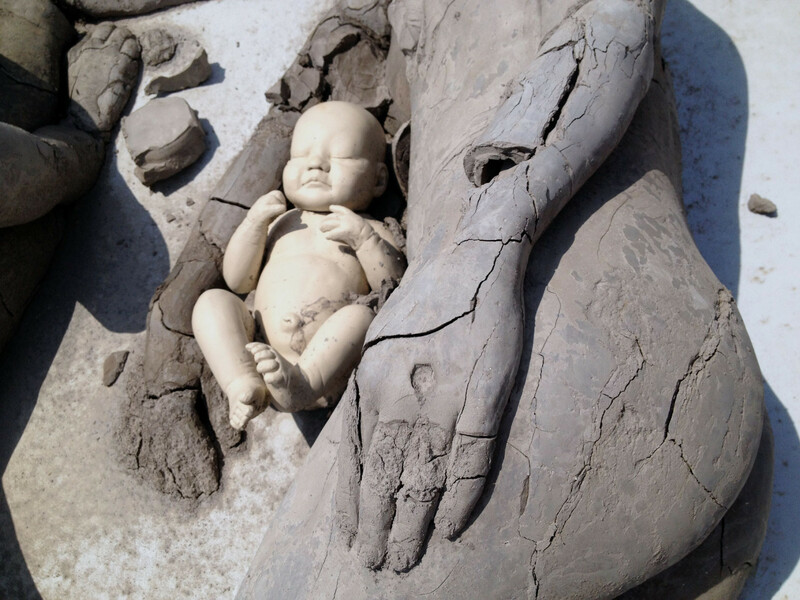 As the figures breaks down more and more the clay will crack the way dry earth does, leaving some traces, or suggestions of the human form it used to have. 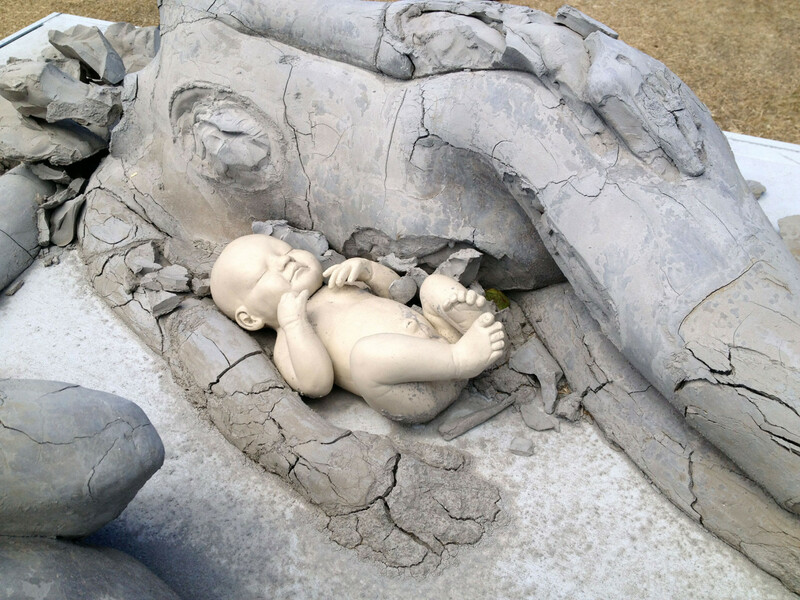 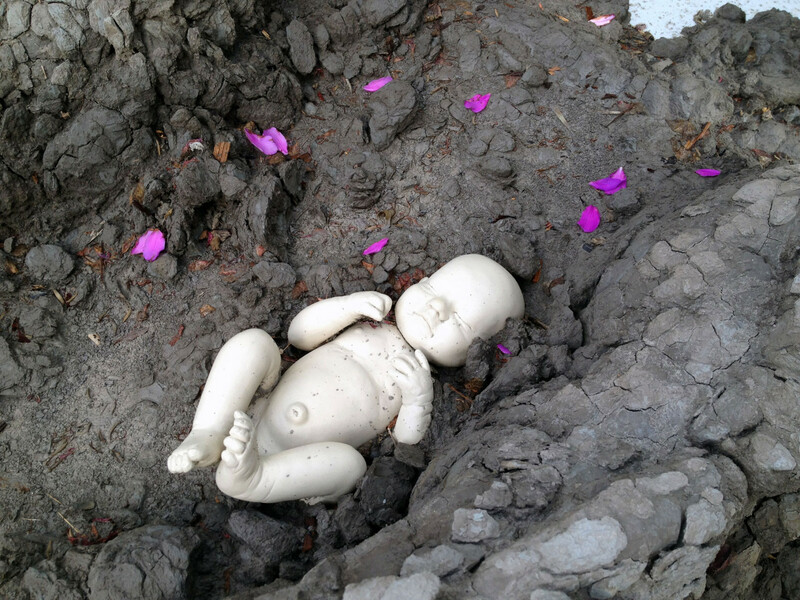 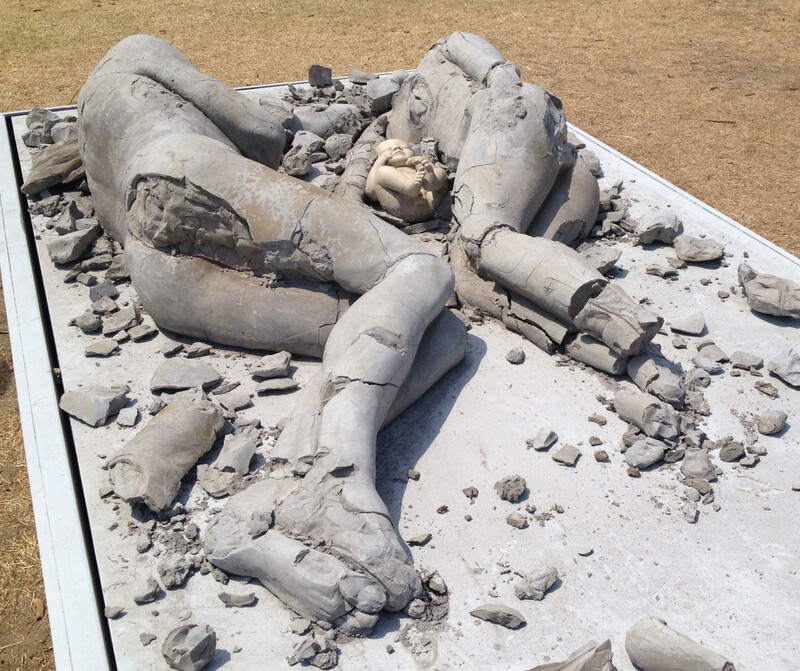 While the male and female figures deteriorate the infant remains unchanged.